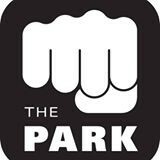 Start taking classes at The Park Gym and other studios! Boxing is the toughest regimen in sports and a great way to get fit. These Mission Boxing, Athletic Performance, Cardio and Powerlifting classes offer a unique and motivating workout focused on strength and conditioning. We are conveniently located at 1960 Harrison St, San Francisco, between 15th & 16th. There is ample parking available at 15th & Harrison in the UCSF lot (Open to the public). It was a good, hard workout but not very interesting. The bulk of the class was 20+ solid minutes of alternating sets of squats and burpees. In fact, at least half the class was some form of squats or burpees. There were a variety of fitness levels in the class but everyone got the same workout, so the slower people got a longer class and a couple of people even got called out during the sprints, which I didn’t think was cool. No form correction, no time for stretching unless you finished early. The gym was crowded but there was plenty of space for everyone and it was clean. First time boxing. Not a super intense workout, but would go again. No thorough review of technique for beginners, but instructor happy to step aside to answer questions. Class was great. Could work on clearer instructions with a focus on technique. Super great instructor and nice staff all around (including the fantastic woman at the front desk!!) David was great st correcting form and running you HARD.